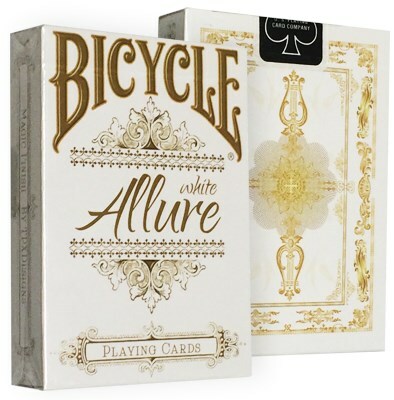 The Allure playing card deck is a design that is elegant and mysterious. We have put together a deck with not only the collector in mind but also the Cardist, Magician and the everyday card player.. 56 total cards - The standard 52 poker cards, 2 Jokers, 2 Gaff Cards. 2 reveals on the box and joker.